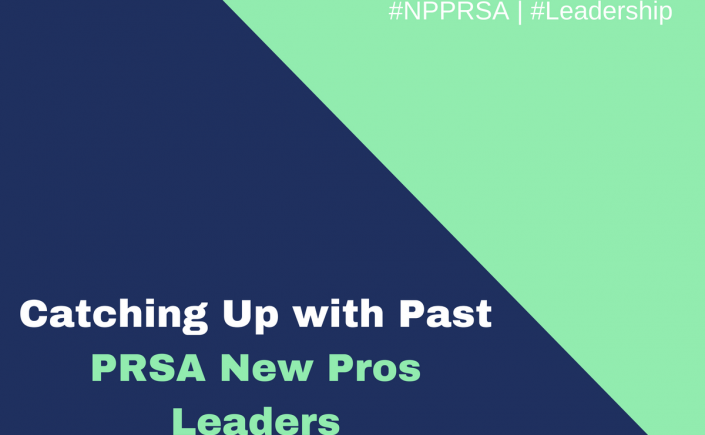 PRSA’s New Professionals section is a membership organization 1,100 people strong. And with a combined social media following of more than 15,000, it’s easy to tell there’s a network of New Pros “alumni” and supporters across the country. We recently caught up with some past-Chairs of the section to see how PRSA involvement has shaped their careers and where they are now. Vice President, Ketchum — Chicago, Ill.
Senior Account Director, Gravitate PR — San Francisco, Calif.
Vice President, Global Practice Development, Edelman — Chicago, Ill.
Corporate Communications Manager, Starwood Retail Partners — Chicago, Ill.
What is a piece of advice you have for today’s new professionals? Sarah: Build your network before you need it. By its nature the PR/marketing industry relies on relationships – from your first job offer to a client referral – take time to foster and build it starting in the classroom and volunteer positions. Leah: Don’t be afraid to speak up. Give your opinion. Stand out. Heather: So many learnings I’d want to pass on. First, say yes to every opportunity that comes your way, especially if it scares you. The biggest risks I’ve taken in my career have turned out to be the most rewarding. Second, be proactive, take chances and make the most of every experience you get. Nick: Read more, subscribe to, and pay for good journalism. A deep understanding of business, government, media and non-profit organizations will make you a more informed counselor to your clients. Brian: PRSA and New Pros offer many benefits to assist in building a career. From wide-angle industry perspective, developing mentors to tips on how to succeed everywhere from strategic thought to holding productive meetings. Those who are most successful seem to integrate that into their development on top of great effort where expected from supervisors, rather than a replacement for going the extra mile with daily production. Sarah: In addition, maintain heart and hustle. No matter the role, assignment or client new pros who stand out most show up with passion, curiosity and a never-ending sense of urgency. Any other closing thoughts or wisdom? 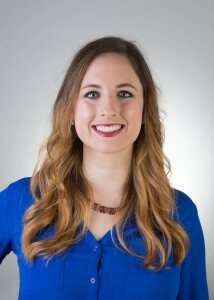 Sarah: Every opportunity in my career is rooted in a PRSA connection. It’s the best investment in your career to take time to volunteer and participate – don’t just be a name on a sign-in list. Leah: Travel as much as you can. Experience new cultures, food, life. Heather: Ask for what you’re worth and always negotiate (especially if you’re a woman and/or person of color). It’s hard, but you have to force yourself to do it. This Q&A was compiled by Hanna Porterfield, 2018 Chair of PRSA’s New Professionals Section. Based in Chicago, but frequently on an airplane, she is an account manager at NYC-headquartered Development Counsellors International. Hanna is a graduate of Michigan State University. Connect with her on Twitter @citygirlhanna.